The wait for the US is almost ALMOST over. Less than 24 hours to go until we can see how the movie will perform on home territory after already breaking records across the globe. 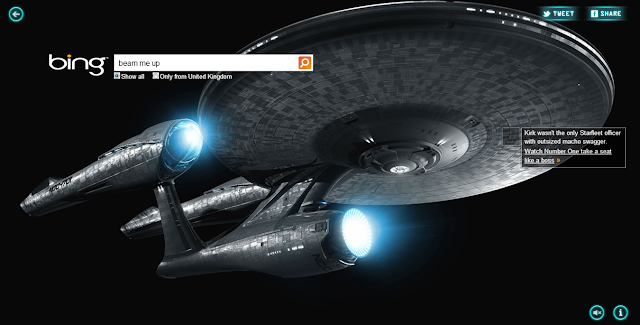 Simply it's the biggest Star Trek movie YET. 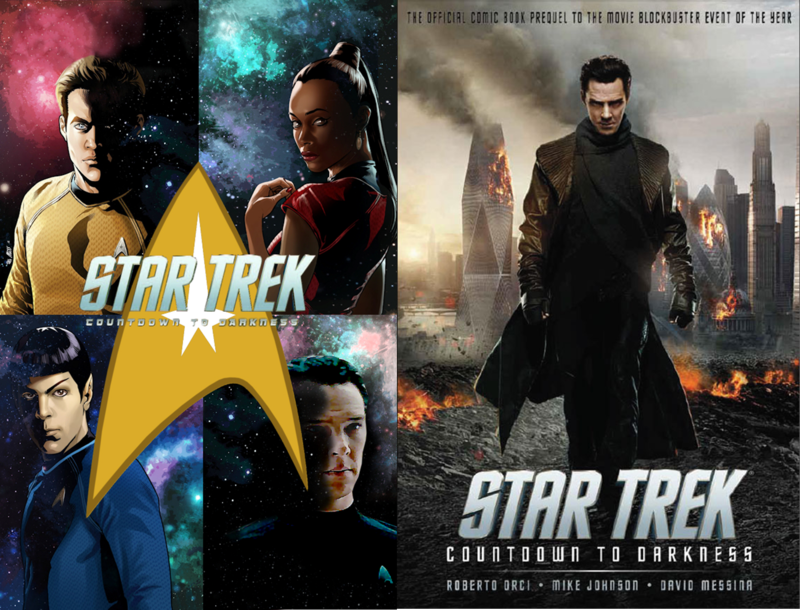 It's been a few days since my last roundup but hey, it's been a busy time for Star Trek Into Darkness and I just had to share a couple of things. The first is the gorgeous .gif file from Are You #The1701 which I've added above. You can get it from the site by hitting the "play" button bottom left.Watch closely and you'll manage to spot five or six scenes from the move that have been featured within the trailer. 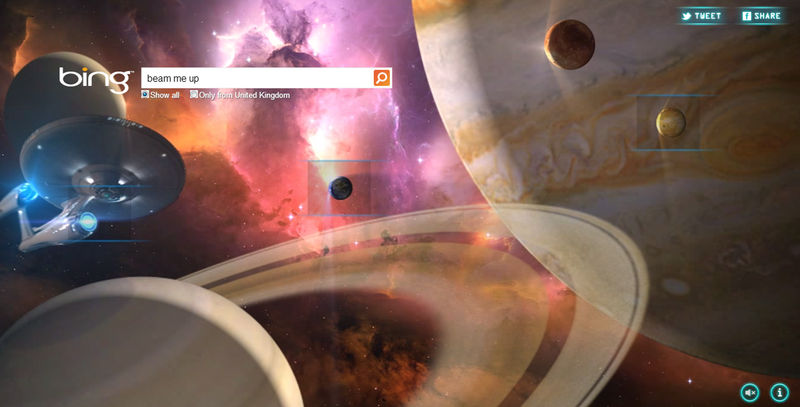 beam me up - and get here! 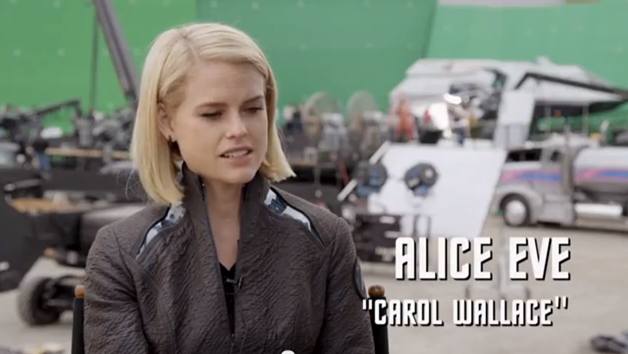 Besides that there's this awesome little featurette on the new movie which includes soundbytes from JJ, Zachary Quinto, Alice Eve (and I've included a pic above because of who she's listed as), Chris Pine and Zoe Saldana. Good for a watch, nice teaser. That is all, folks. Just strange how now they seem to be back-tracking on Eve's character when we already know precisely who she's playing and have done for flippin' ages!!! Come on, give us at least some credit, it's not like there's someone else's ID that's a secret in this movie or anything!!!! Over on trekmovie.com there's some new TV spots (the last ones apparently) before the release of the movie TOMORROW in the US and I've added them all here for your delight. 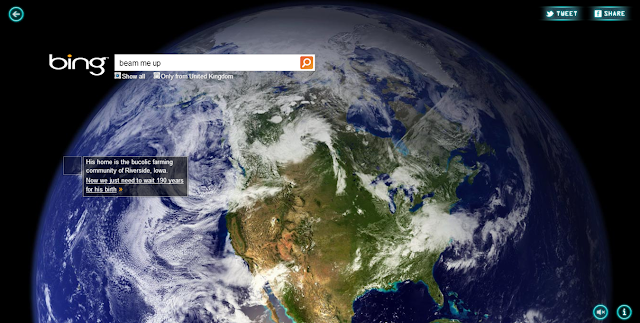 There's some new pics on there too but we've already featured them on SKoST in previous features. There's not a lot new here apart from some review quotes and generally a massive amount of over-hype...but we're all expecting that anyway? 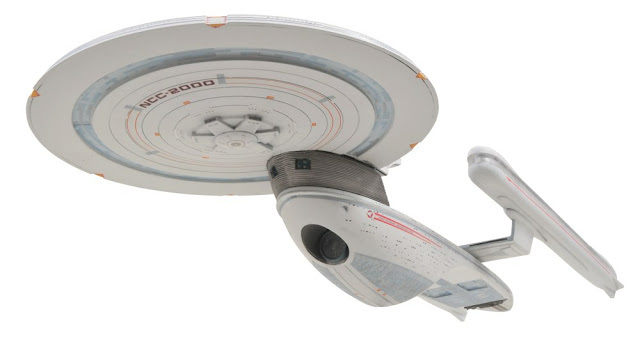 In other related/unrelated/delete as applicable news, Diamond Select have announced their new USS Excelsior and USS Enterprise-E models for later in the year. Later in the year, the 16 inch long USS. Excelsior, NCC-2000 (so it's from Star Trek VI: The Undiscovered Country) features new sculpted parts and includes all-new sound files with quotes from Captain Sulu, using the voice of actor George Takei. 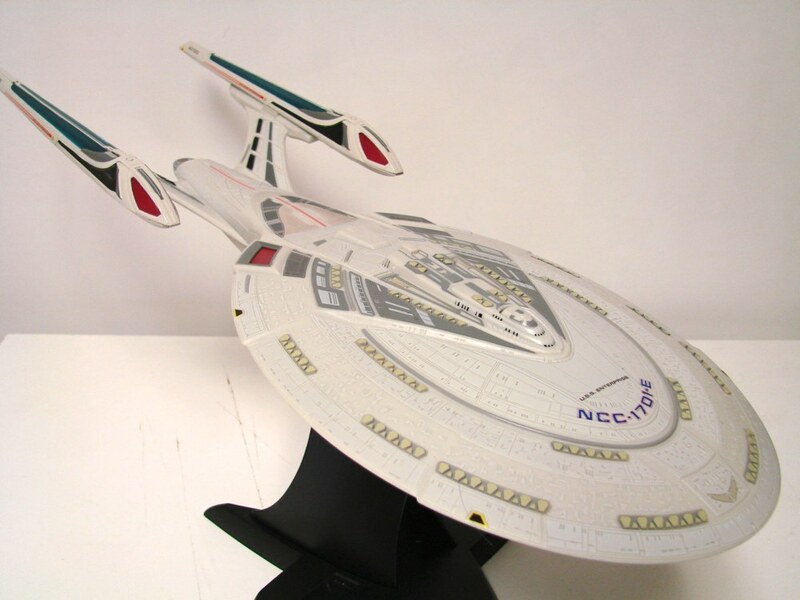 I've also included the video below which demonstrates the second vessel plus some pics of the new Enterprise variant alongside the older Nemesis version...spot the difference! from Diamond Select? Well there's a third on the horizon in the form of Captain Jean-Luc Picard in his standard Starfleet uniform. Now the spiel for this says we're seeing him in a "...captured in the middle of a previously unseen engagement with the Borg, firing his phaser aboard a Borg ship, with a fallen foe at his feet." but if I'm honest that's a bit lame. At least with the Kirk and Spock figures they're in poses that link them with classic episodes of The Original Series. This just looks a bit false and doesn't carry well. 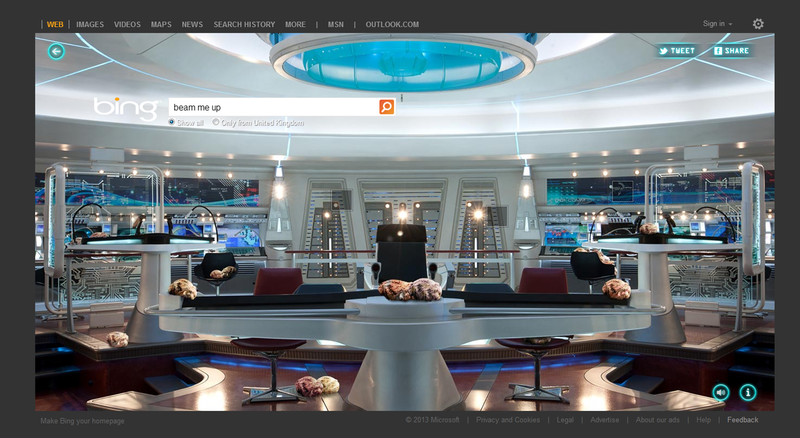 I just can't see Picard in this situation. The figure will feature limited articulation and a detailed likeness by Patrick Piggott (prototype shown), and will come in shelf-ready display packaging. 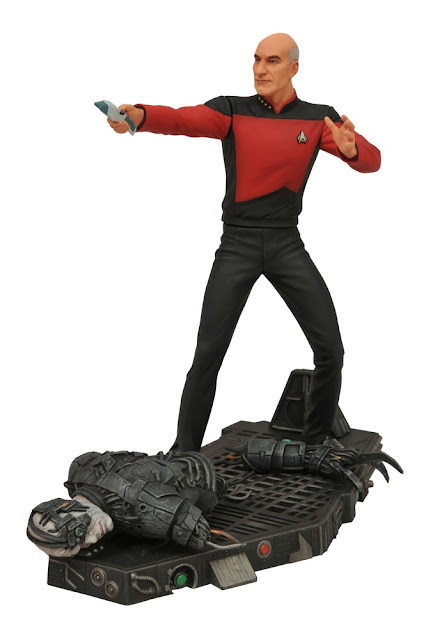 I just hope that the final production version is a bit better than this because the pose and Picard just don't look right somehow. I'm not even sure I like the dismembered Borg. Is this a bit extreme? Or am I just overreacting?! This latest announcement is due for release in the Autumn (Fall) of 2013...I think I'd rather have Spock and the Horta thanks if anyone's looking for ideas for Christmas..